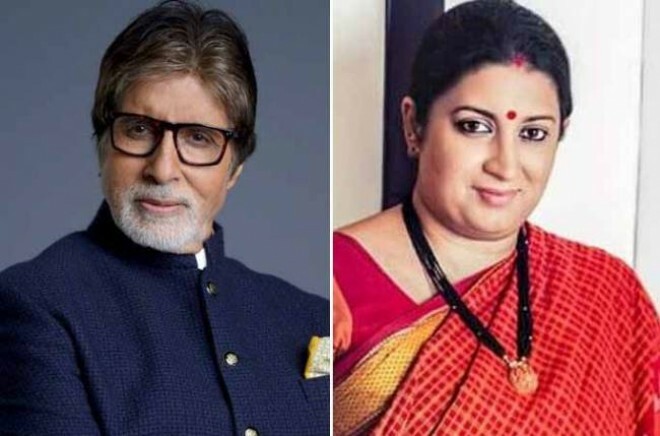 New Delhi, Apr 05: The Congress on Thursday hit out at Union Minister Smriti Irani for her attack on Rahul Gandhi, saying she was mostly angry and trying to copy actor Amitabh Bachchan but ends up being a villain as she gears up to face another defeat in Amethi. Congress chief spokesperson Randeep Surjewala said the people of Amethi will ensure her 'decisive defeat' and will show her what "temperate behaviour is and what respect for the opponent is". "I can understand the scepticism and also the constant fear that prevails in the mind of Smriti Irani ji. She is mostly angry, trying to copy Amitabh Bachchan but she always ends up being the villain in the story. She is getting ready for her third successive defeat," he said. "We will defeat her with the blessings of the people of Amethi, but we will always respect her as an opponent," Surjewala said. The Congress leader also took a swipe at her saying despite her third defeat, Prime Minister Narendra Modi will give her a Rajya Sabha seat and she should not be worried, "for she has never won even a panchayat election in her whole life". On her first visit to Amethi, Rahul Gandhi's parliamentary constituency, after the Lok Sabha elections were announced, Irani attacked the Congress president, saying his decision to contest from Wayanad in Kerala was an ''insult'' to Amethi. The 48-year-old Congress chief is contesting from Kerala in addition to his traditional stronghold Amethi, where he is pitted against the Union textile minister. Terming herself didi - elder sister, Irani told a gathering in Parsadepur in Amethi, "This is a coincidence, a sign from God that didi arrived and the missing MP reached Kerala. I have come to seek (people's) blessings and he rejected the blessings."